Seeking revenge for the death of his love, secret agent James Bond sets out to stop an environmentalist from taking control of a country's water supply. After Casino Royale we all had our hopes up for this new series of great Bond movies, right? A shame something went terribly wrong with Quantum of Solace. The script just does not cut it. The evil guy and his evil plan evolves around trying to sell bottled water for a very high price. Come on! Someone should have yelled "STOP!" at some point during the script writing. The main problem however lies in the structure of the movie. Bond goes to location A, then location B, then location C...and so on. But it all seems random, like a roller-coaster and Bond is just there for the ride while the viewer has no idea what the hell is going on. Such a shame they blew this by having such a bad script. Now I'm just looking forward to the next one. I'm sure Sam Mendes won't make that mistake! 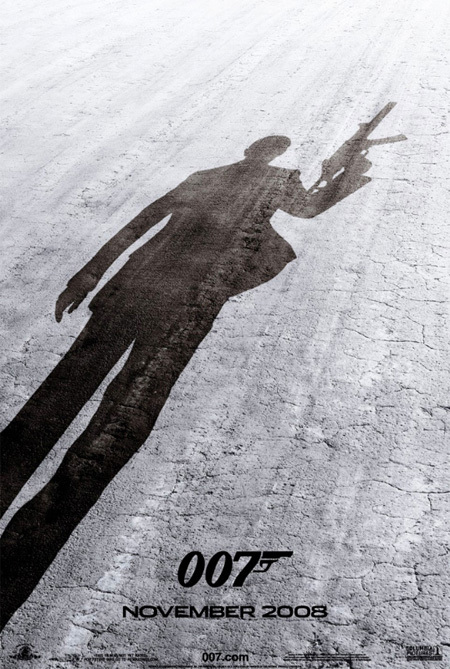 Definitely a very good movie, I like this type of Bond movie much more, than the traditional: "I have THE GADGET, and therefore I can do everything"-type of Bond movie. Well anyway this is a very nice follow up on Casino Royal. I wouldn't miss out that one before watching this one. Very good action movie, I put in The Bourne Trilogy as similar movies, cause they way they put together action scenes, with running, hitting hard and the hero getting beat up(as back in the good old Die Hard days) is kind of the same. 7 of 10 from me fro very good action, and also good action and some nice locations... Didn't care much for the story though.